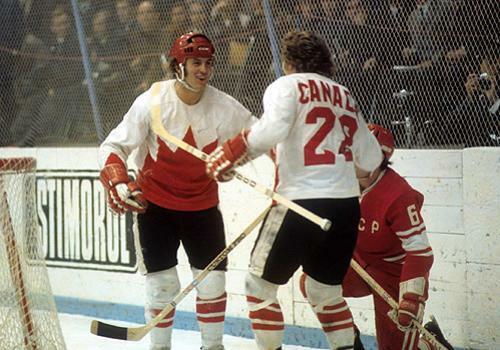 Mystery of Paul Henderson Summit Series puck finally solved? Who owns the puck that beat Vladislav Tretiak on Sept. 28, 1972, to win the Summit Series? Who owns the puck that turned Paul Henderson into a national legend? For years, the location of the puck and the identity of its true owner were debated. One story had the Henderson puck in the possession of an Ontario man who found it stashed away in a freezer bag, sourced back to a Russian player who cleared it over the glass in frustration. Most of the attention centered around defenseman Pat Stapleton, who some claimed they saw take the puck from the net. In 2008, after years of denial, Stapleton allegedly brought the puck to a Junior ‘B’ game in Sarnia for the ceremonial faceoff, in honor of a former manager that helped Stapleton get his start. But questions remained about its validity. On Wednesday, via Sean FitzGerald of the National Post, Stapleton reiterated that he owns the Henderson puck. Paul Henderson's puck became ... a chew toy? Stapleton is 74, and from the sound of it he’d like the puck to find a home in the Canadian Sports or Hockey Halls of Fame. That’s a perfect sentiment, given how many young Canadians dreamed about becoming hockey legends after Henderson’s goal vs. the Soviets.